Bermuda is the site of the America’s Cup this year, but it is unlikely that it will remain a host the next year. The owner of the Oracle team of US, Larry Ellison, did state to the crowds that they would be back in the opening ceremony that was held in May. However, realities might be different it seems. The comments Ellison made has caused a stir as elements in teams as well as the authorities behind America’s Cup are reconsidering the idea of returning to the event. 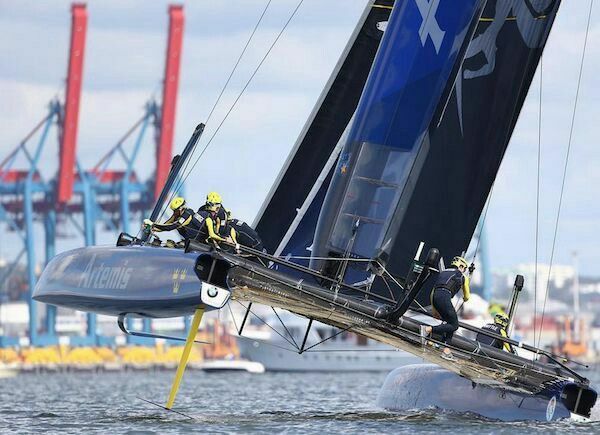 Instead of being a dedicated racing venue it might become a stop as part of the Louis Vuitton America’s Cup World Series event that would be akin to circuit racing. The races would take on a fast and furious style, akin to Formula One and packaged for sports television. In the opening ceremony, he did not mention anything about the Cup event in the future when he addressed the crowds at the opening ceremony held on May 27th. He only stated that the Oracle team would come back if they sail fast enough. Such comments indicate that Bermuda would not be considered as a fully fledged America’s Cup venue in the future. The new framework that has come into place was signed by five out of six teams in the month of January for the changes that would be incorporated in the coming versions of the event. The future editions would have a World Series where 12 regatta events would be included. The teams would also expand to include 12 instead of eight teams. There would probably be a Spanish team included as Juan Carlos I, former King of Spain raised an issue when he visited the Bermuda racing venue last week. Spain along with an Italian team would probably be part of the next World Series.